A bar or bracket across the window or side panel of the passenger side of the tractor when seated in the cab is ideal. Use provided ram mounts to connect to the bar or bracket. Drill holes and use bolts if necessary. 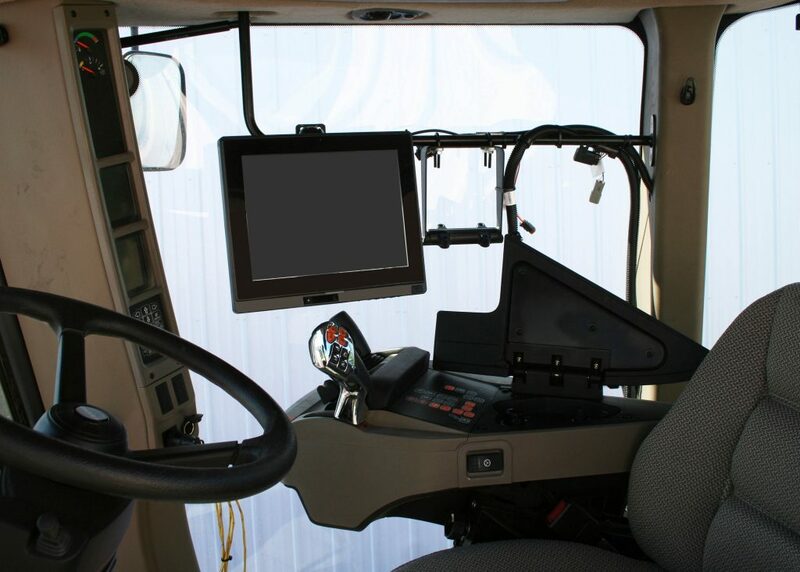 Make sure there is easy access to the touch screen at all times and that the operator can see the computer at all times. Make sure it is secure as it will take a lot of vibration and bumps during operation. See Picture for a generic placement of the computer screen.